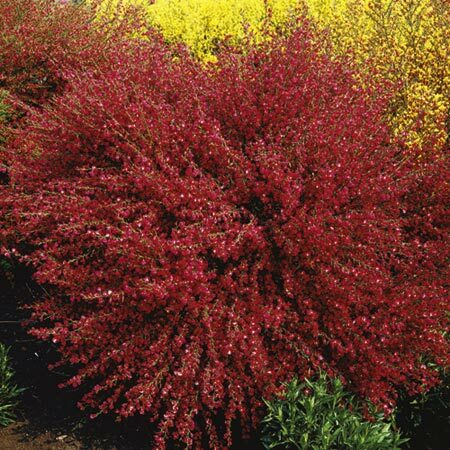 Cytisus × boskoopii 'Boskoop Ruby', a small deciduous shrub with upright shoots of deep ruby-red blooms in abundance in late spring and early summer. RHS Award of Garden Merit winner. Height 100-150cm. Supplied in a 3 litre pot. 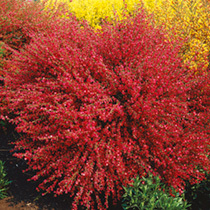 Best planted in full sun and well-drained soil. Each year reduce flowered stems by about half to prevent the plant from becoming leggy, it'll promote a bushier growth.